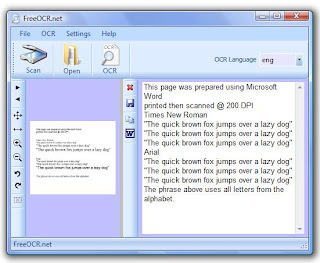 Free OCR is a document scanning software. 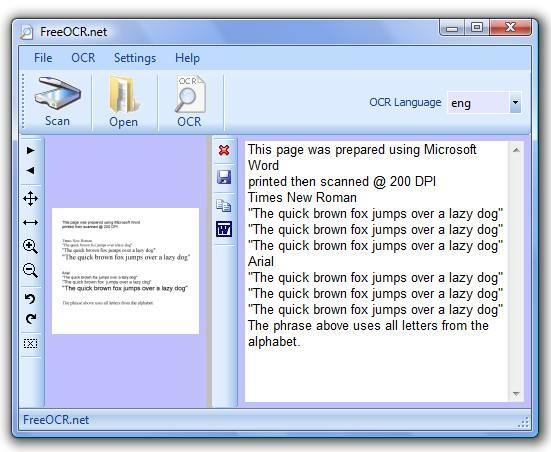 It scans any oimage, pdf file and extract text from it and exports it to Microsoft word format. It is very small just 216 kb in size. FreeOCR supports scanning from most Twain scanners and can also open most scanned PDF's and multipage Tiff images as well as popular image file formats. FreeOCR outputs plain text and can export directly to Microsoft Word format. To enable scanning of images you will need a desktop document scanner that uses Twain or WIA compatible scanning drivers. FreeOCR requires the .Net Framework V2.0 from Microsoft. If you do not have this installed then the FreeOCR installer will automatically scan detect & download this for you. This framework is included with Vista and Windows 7 so only may need installing on XP.